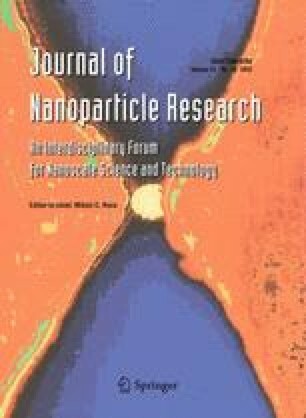 Spherical, submicronic TiO2 assemblage with high specific surface area and controllable phase composition was prepared in the process of ultrasonic spray drying/pyrolysis in a wide temperature range (150–800 °C) by using as a precursor aqueous colloidal solution consisting of TiO2 nanoparticles (4.5 nm). Submicronic, soft and grained spherical TiO2 particles (d = 370–500 nm) comprising clustered nanocrystals (<10 nm) were obtained at low processing temperature, while particle densification, intensive growth of the clustered primary units and anatase-to-rutile transformation (~30 wt%) were observed at the higher temperatures. Detailed structural and morphological characterisation were performed by X-ray powder diffraction, scanning and field emission electron microscopy, transmission electron microscopy, and laser particle size analysis. Moreover, the surface modification of TiO2 particles through the formation of charge-transfer (CT) complex was achieved with different ligands: ascorbic acid, dopamine, catechol, 2,3-dihydroxynaphthalene, and anthrarobin. Optical properties of the surface-modified TiO2 particles were studied by using diffuse reflection spectroscopy. The binding structure between the surface titanium atoms and different ligands was determined by using Fourier transform infrared spectroscopy. The formation of CT complexes induced significant red shift of optical absorption in comparison to unmodified TiO2 particles. The online version of this article (doi: 10.1007/s11051-012-1157-1) contains supplementary material, which is available to authorized users. The financial support for this study was provided by the Ministry of Education and Science of the Republic of Serbia (grant III 45020). O.M. kindly appreciated the University Carlos III-Santander Bank, Madrid, Spain, Chairs of Excellence Program for academic year 2010–2011.